Inspired to further understand the greater changes rapidly happening across the capital the artists chose to focus exclusively on one street. The artist duo were drawn to Railton Road and its history of radical political and social movements of the late 20th century. Through research and collaboration with current residents, the artists became interested in the theme of open and closed spaces, encompassing public spaces, which had lost local funding and become abandoned, alongside charities which lacked visibility of the invaluable services offered to the public. Never Far Away consists of photographs from these workshops and a selection of works created by the participants at Photofusion, as well as an offsite exhibition trail on Railton Road. The Taking Part residency is Photofusion's first lens based residency and the artists will be working alongside Derek Wiafe, Gemma-Rose Turnbull and Eva Savojic. The artists used the residency to research geographical maps, archival images and newspaper clippings of Railton Road at the Lambeth Archives to better understand some of these social histories. They subsequently invited current residents on Railton Road to take part in a series of photography workshops at Photofusion in July and August 2017. 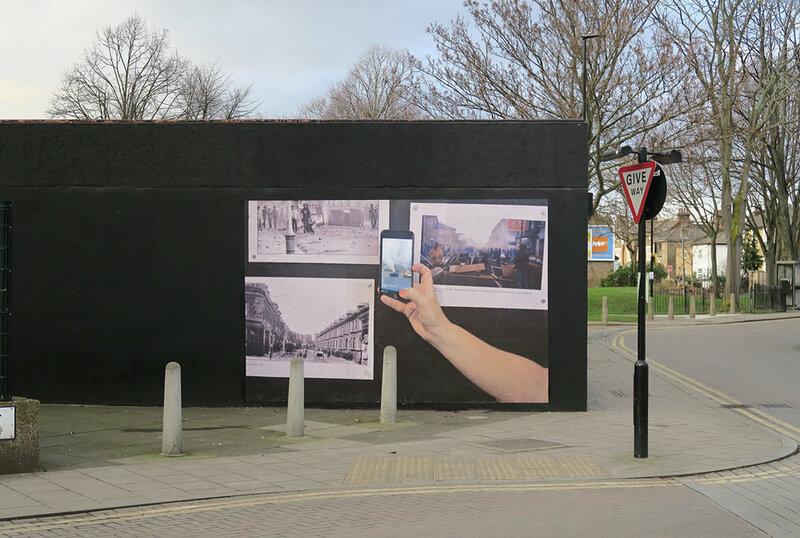 In an effort to draw visibility and activate some of the public spaces on Railton Road the artists will be curating a selection of the participants photographs concurrently along the street. The display at 198 Contemporary Arts (see below) is one of four key sites for this photography trail including the Brixton Advice Centre, Brixton Pound, and Connect & Do. This project would not have been possible without the enduring support of Anthony Luvera, Lizzy King, Becky Warnock, Richard Wills and the team at Photofusion. In addition to support and participation from: Teresa Gorczynska, Stephanie Pfeil, Leah Hargreaves, Lucy Cava, Sibylle Mansour, Paula Aredez Arriazu, Patrick Torsney, Ambesit Tekeste, Lucy Davies, Sireita Mullings and Buki Bayode.